This year has been very solid for stocks, but these 6 were the best of the S&P 500. Even in a banner year for airline stocks, Southwest (LUV) takes the prize for best investor satisfaction. The carrier, along with other airlines, has taken off tremendously thanks to an improving economy, plunging fuel prices, and overall industry consolidation. Delta (DAL), for instance, was the 8th best performer in the index with a 74% gain (as of December 15). 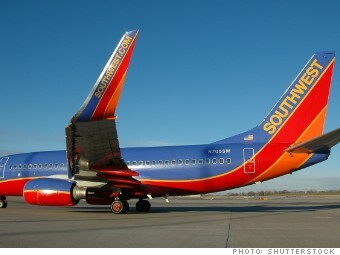 But Southwest has climbed above them all. The strategy: sticking to its routes by flying mostly domestic journeys that take off and land from smaller airports such LUV Field in Dallas and Midway in Chicago. And in an era when most airlines charge fees for just about everything, Southwest has stayed true to its "Bags Fly Free" policy.